“All Things Must Pass” should have been a Beatles song, another gripping, iconic anthem dating to the group’s long goodbye. By the time the Beatles were rehearsing and recording in January 1969, George Harrison’s emergence into a songwriter that rivaled John Lennon and Paul McCartney was essentially complete, with “All Things Must Pass” part of that transformation. Taste matters, but a fair argument could be made that the song could have been the band’s greatest. “All Things Must Pass” — which had the potential to emerge during the Get Back sessions, be performed live and later land on the Let It Be LP — thus could have gone a long way to giving George his ‘moment’ prior to the group’s send-off of Abbey Road. It never happened. But on January 8, John and Paul gave George the option of taking his song, creating that moment and enjoying his own spotlight at the live show to come. They never said it, but based on the prior week’s tapes, the two senior members of the band were probably just disinterested in playing the song. “Do you fancy just doing it on your own on an acoustic?” Paul asked. “That would work. But it’s a bit of a thing for you.” The “thing” in question was effort. Paul would know about playing alone on stage with an acoustic guitar while the rest of the Beatles waited in the wings. Would opportunity knock, but for George this time? John was on board, too, condescendingly positing George could serve “an hors d’oeuvre” to the presumptive hungry crowd. George didn’t directly knock the idea, but didn’t follow up on the suggestions, instead trying work Paul and John on the chorus’ harmonies. After scuttling Paul’s suggestion to begin the song with George’s instrumental opening straight into the chorus, instead of the first verse — hey, it worked for Don’t Let Me Down a few days earlier — the pair haggled over the bassist’s harmony line, with Paul complaining it moved too much. The group spent about a half hour on the tapes working on and around “All Things Must Pass” on January 8 — returning to the song after skipping it the day before — and while there was no significant or specific alterations to the song from the previous days’ rehearsals, they capped the day’s work on the song with a legitimate, listenable and, dare I say, enjoyable take of “All Things Must Pass.” It’s a version that should have shown up, at least, on Anthology 3, in addition to George’s one-man demo from a month later. While the day’s final take is not too dissimilar in overall form than the one ended up on the final recording on George’s solo debut the following year (excepting the orchestration and dozens of additional flourishes, of course), John’s piano part here — he had moved over from organ in the final phases of the day’s takes — added little, usually amounting to pounding out chords. Still, it’s not wholly detrimental, and Paul’s bass line is on point. Ringo, as usual, hits the spot. The Beatles’ greatness has been amplified by the what ifs and what could have beens, and the possibility of a “Beatles’ 1969 classic ‘All Things Must Pass’” is a genuine opportunity lost. There is a “rest of the story.” But the vast majority of history of “All Things Must Pass” by the Beatles is now mostly told. This pre-lunch performance marked the final time they played the song at Twickenham. They returned to it very briefly near the end of the month at Savile Row with the support of Billy Preston, who released the song a few months before George would in 1970. By January 8, 1969, the rehearsal stage was essentially over, however, and this was really the final fumes of “All Things Must Pass” as a Beatles song. Notably, the song never appeared in the Let It Be film. 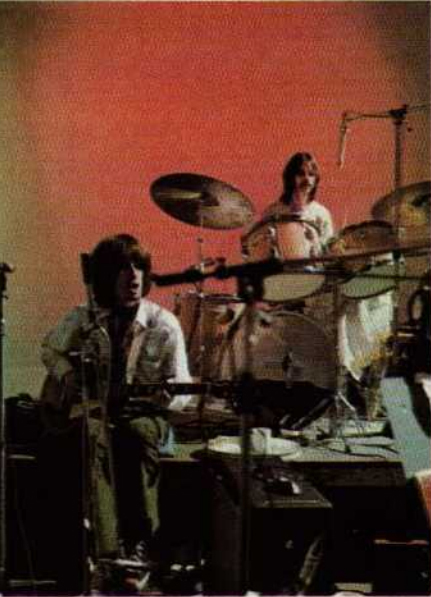 “I Me Mine,” revealed earlier on January 8, did, joining “For You Blue” (which was properly introduced to the band a day later) as George’s contribution to the Get Back sessions. Despite all the hours of rehearsals, the song he carried over into January 1969 as a product of his days with Dylan and The Band, would be passed over by his own band. And it was good enough to serve as the title track of what could be argued to be the greatest Beatles solo album. It’s a pretty song, but actually nasty, in my opinion. “I’m leaving and you’re feeling terrible, but you’ll get over it.” Rather bad taste to say the least of it. Great point. Maybe john and paul viewed the song as too negative. “I’m leaving you babe but you’ll get over it” was a common theme for George: You like me too much; Think for Yourself, If I needed Someone. Rock stars. Whaddya gonna do?